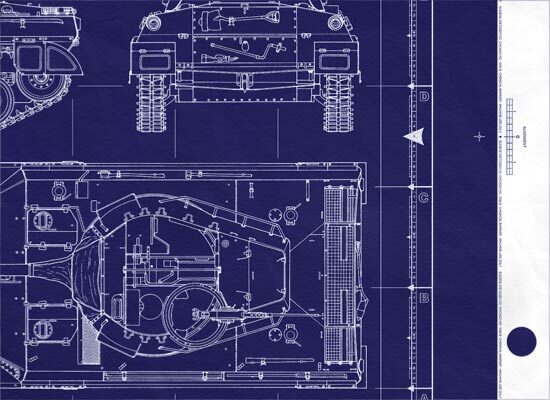 In February 1942, Fisher Body completely stopped making auto bodies and began assembling the famous M-4 "Sherman" tank. Buick division was responsible for making the M18 Hellcat. 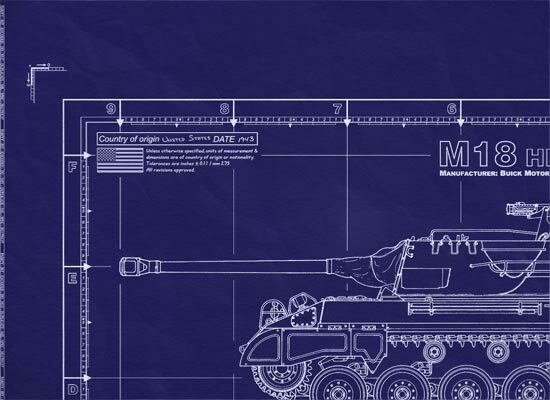 — it was Buick that nicknamed the M18 "Hellcat"
During WWII, GM produced 854,000 trucks (& amphibious vehicles), 198,000 diesel engines, 206,000 aircraft engines, and 38,000 tanks, tank destroyers, and armored vehicles. Fisher Tank Arsenal was not the only manufacturer of the M4(A3) Sherman Tank. Buick also retooled to meet the demands of making engines for the B-24 bomber. By 1944, Buick's Melrose Park factory was regularly turning out 2,000 engines a month. 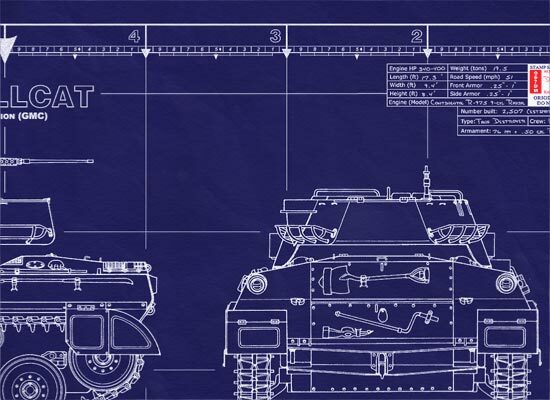 The Hellcat was known for its battlefield speed - able to reach 60 mph. Fast, maneuverable and heavily armed with a lethal 76mm gun. The M18 Hellcat was used extensively throughout WWII and remained in service until late into the 1970's with some Forces. 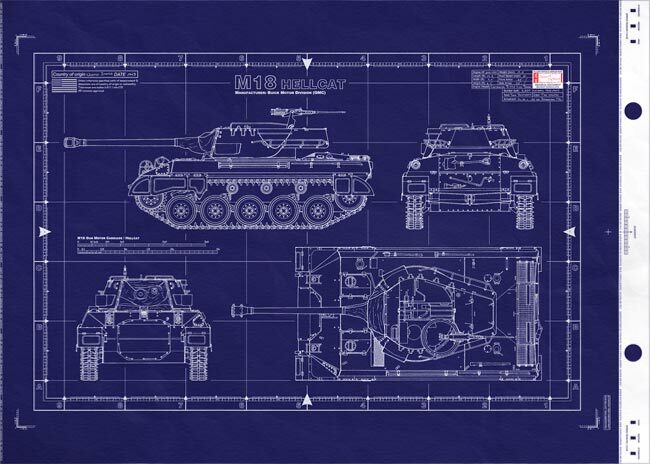 M18 Hellcat Tank Destroyer - This is a real blueprint made directly from vellum masters. Delivered to you on a full size master sheet measuring 42"x 30". The M18 Hellcat was a very successful tank destroyer, the fastest tracked vehicle of the war… with well-trained crews achieving a 5:1 kill ratio against the German Panther tanks. Continued from above… will shortly begin to update the military history of this tank.